Paddy Power Betfair plc was formed in 2016 from the merger of two of the fastest-growing online betting operators in the world; Paddy Power plc and Betfair Group plc. Paddy Power is an international multi-channel betting and gaming group widely seen as one of the most distinctive consumer brands in Europe. Betfair is an innovative online betting and gaming operator which pioneered the betting exchange in 2000, changing the landscape of the sports betting industry. Paddy Power Betfair has a market-leading presence in the UK, Ireland, Australia and the USA, as well as a range of B2C and B2B operations across Europe. Part of the Paddy Power Betfair Group, Betfair Romania Development is the company’s largest Development Centre. Based in Cluj, it hires over 440 professionals skilled in a wide range of programming languages, infrastructure, information security & governance, product and programme management. 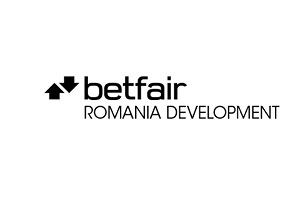 Betfair Romania Development takes pride in being the company’s Center of Excellence for Data Delivery, Gaming, Marketing and Customer Management Technology.